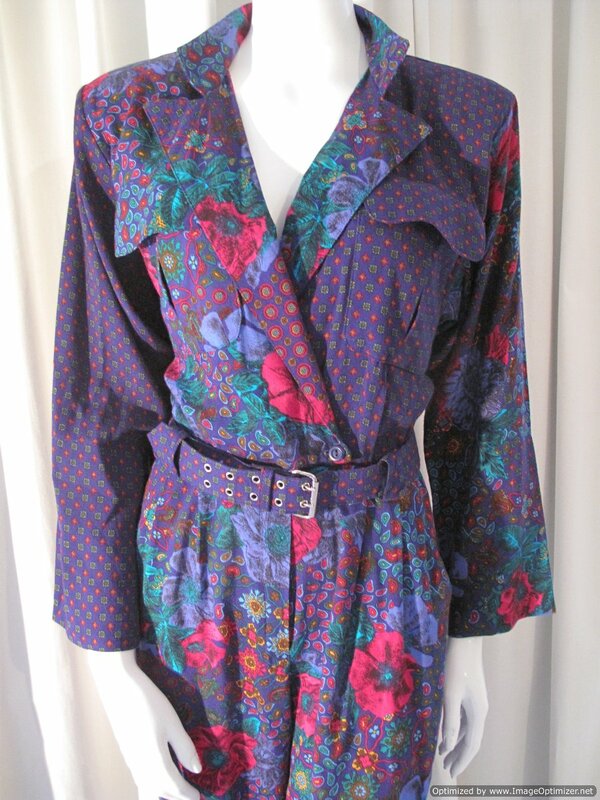 1980's Paisley print vintage jumpsuit. 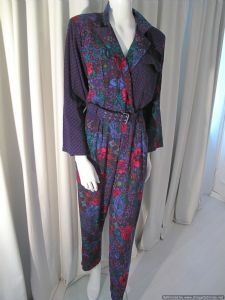 Viscose crepe vintage jumpsuit in an allover print of paisley motifs mixed with roses. 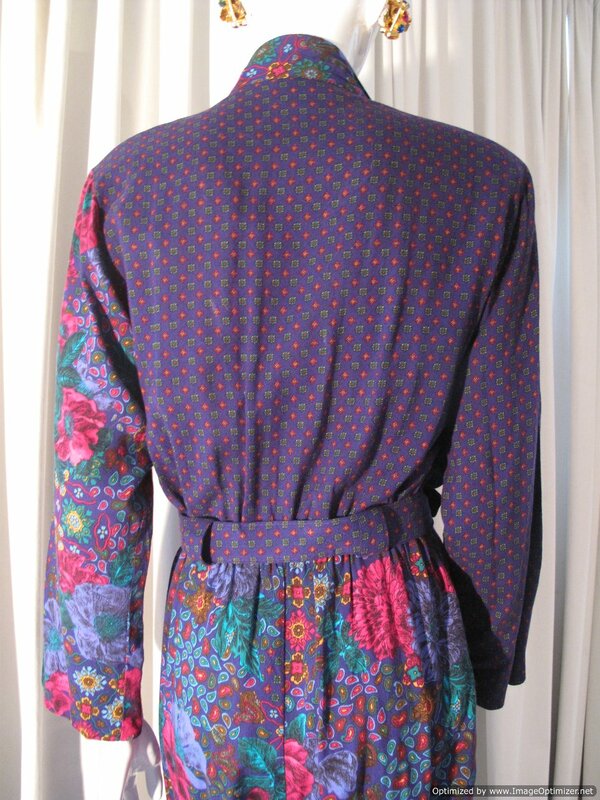 The colours are emerald, turquoise, fuschia, maroon, cornflower, mustard, gold, black on a royal blue ground. 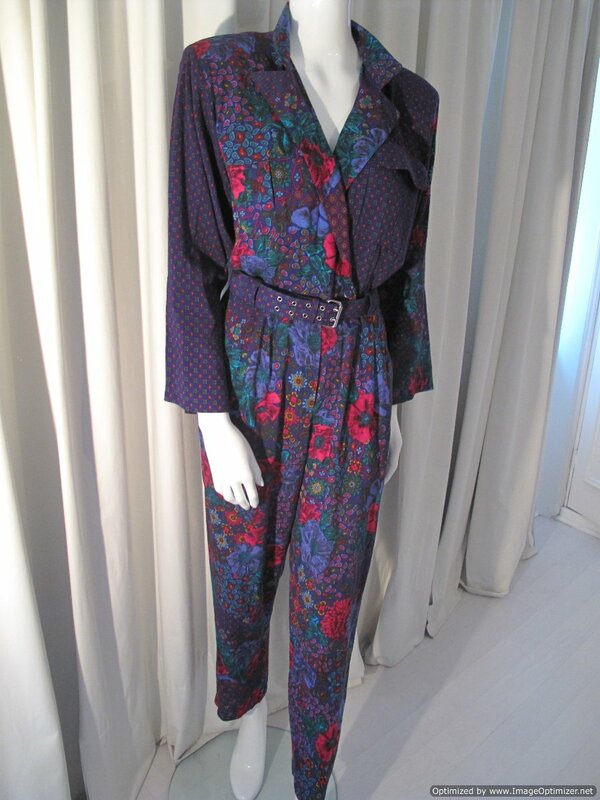 The silhouette has classic 80's padded shoulders, with deep collar and revere front, flap pockets on chest, elasticated waist and self fabric belt. 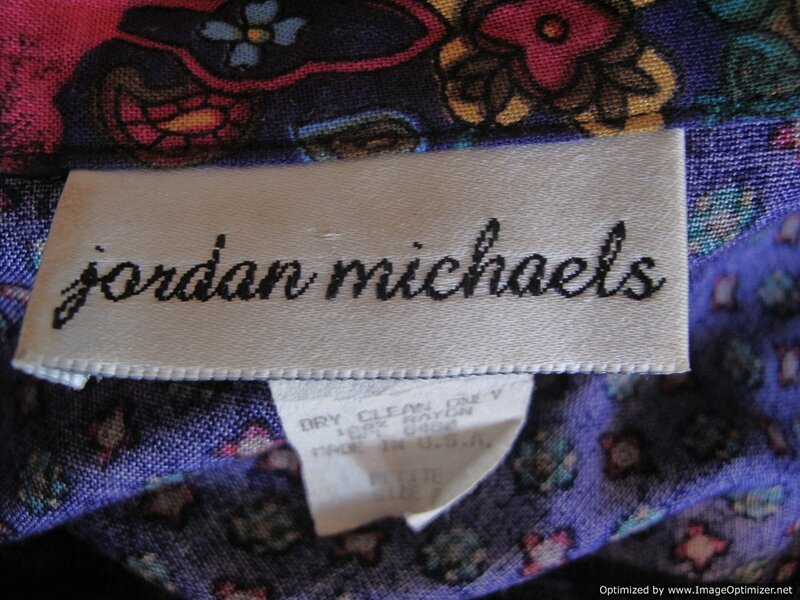 The trousers have front pleats, slanted side pockets and tapered leg shape.